You are at:Home»Jingkids International School Expo»March 2019 Circuit: JISE 2019, Year of the Pig Celebrations, and More! 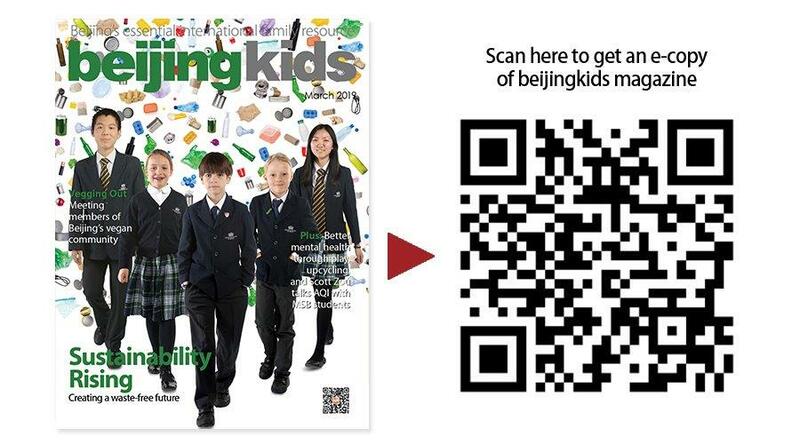 What’s happening in Beijing’s international school community? 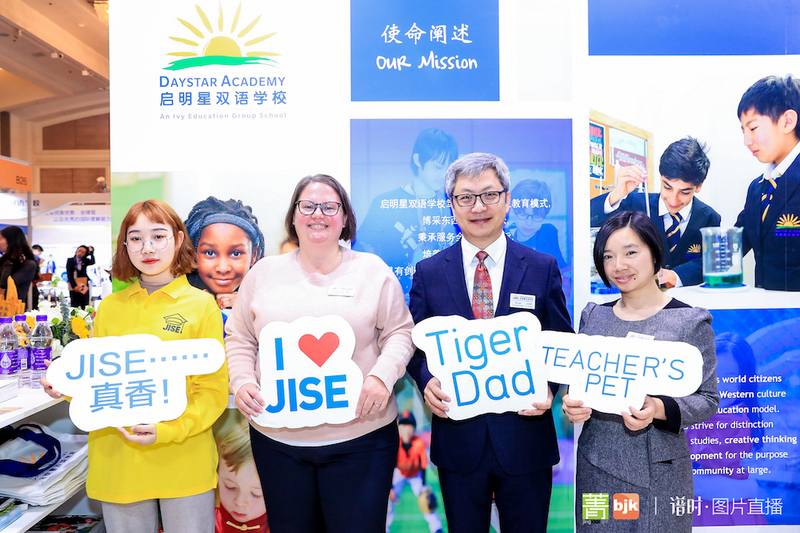 February brought buckets of fun with the Jingkids International School Expo (JISE) 2019, the Year of the Pig, and much much more. On February 23-24, we had 4,000 families descend on Kerry Hotel Beijing for our annual school expo. 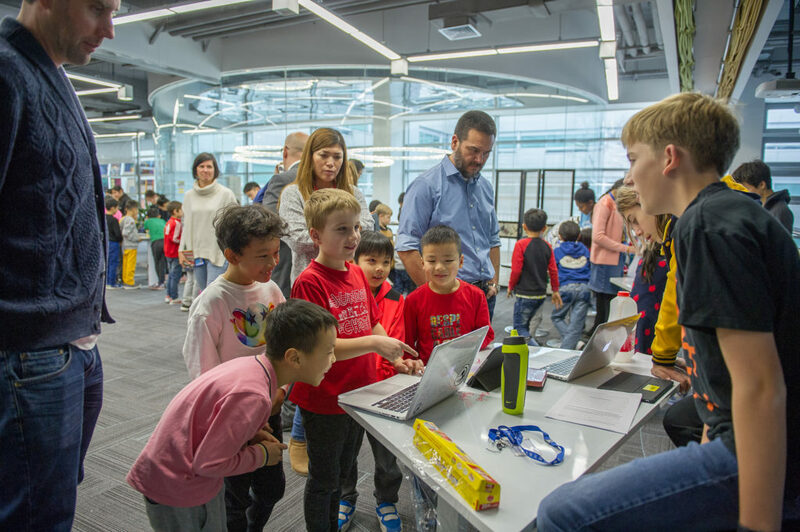 Along with 100 of Beijing’s top international schools in attendance, we hosted a range of education and parenting forums, fun activities for families, and even a student entrepreneurship competition. All in all, the weekend was a great success! Thank you all for your continued support! 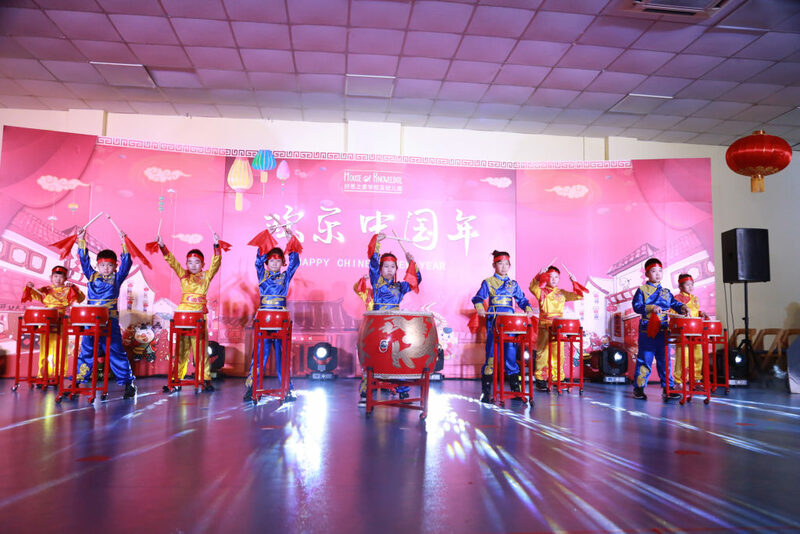 This year, House of Knowledge (HoK) students were delighted to host a special stage performance to celebrate Chinese New Year. Following the performance all parents and children went to a temple fair to enjoy a range of fun activities and a dragon dance. 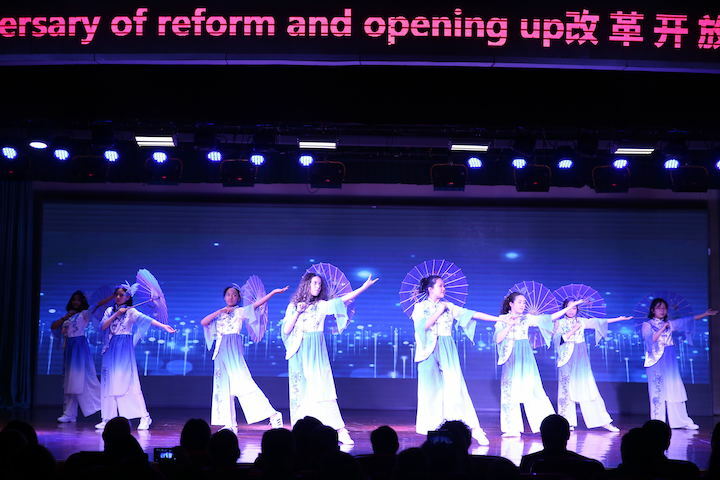 On December 21, the International Students Section of Beijing No.55 High School held their annual Christmas performance. Many students participated in the show, which drew a lot of applause and even a special appearance from Santa Claus. 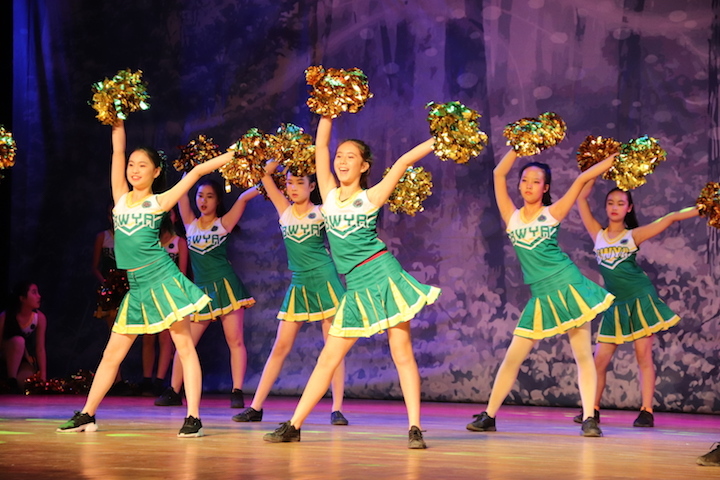 On February 1, Beijing World Youth Academy (BWYA) held their annual talent show at the Beijing Theatre. With rock bands, ballet dancers, a cappella performances, and more, the talents on display were enjoyed by all. The stage management was also run by the students, so everyone contributed to giving a good talent show. 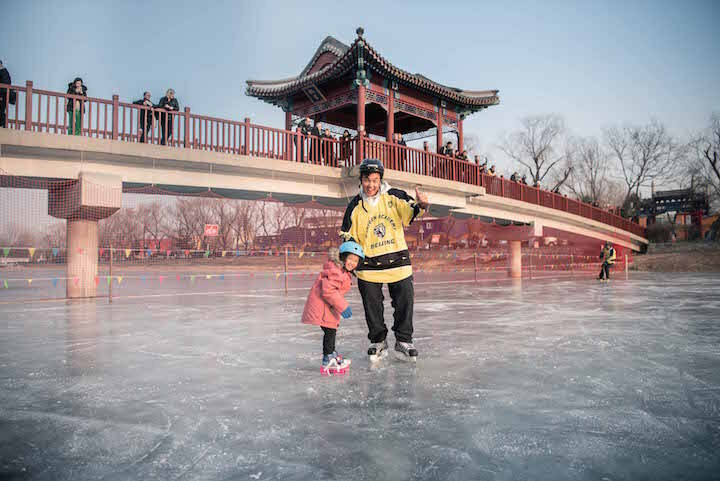 The Western Academy of Beijing (WAB) community enjoyed some extra winter fun this season. For the first time in the school’s history, WAB opened an ice rink on their campus pond, Duck Lake. International performing artists recently gave workshops at Dulwich College Beijing (DCB). Students breathed new life into Shakespeare’s stories with a practitioner from a theatre company in London. 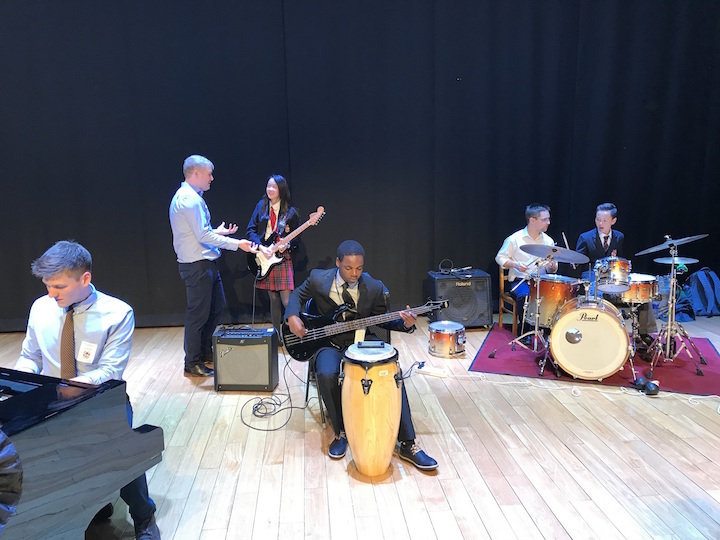 Music students also honed their improvisation and composition skills with the Roy McGrath Quartet from Chicago, while Junior School students also studied and performed a routine with the University of Auckland Dance Group. 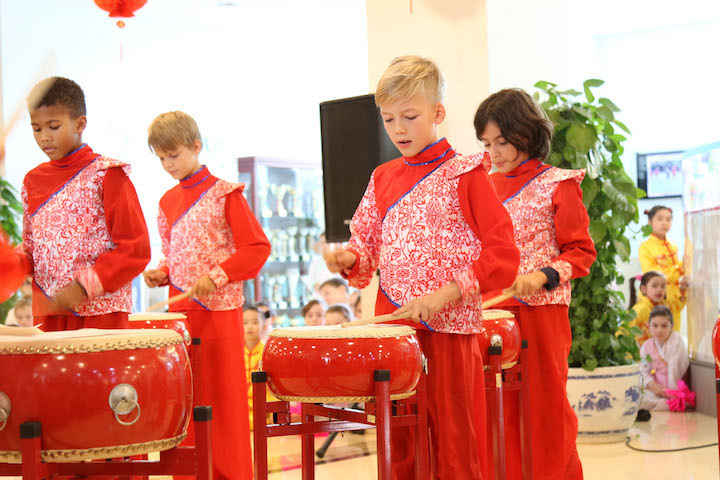 3e International School welcomed the Chinese New Year with the annual Dragon Parade and Temple Fair celebrations on January 31. Students collaborated in class to produce colorful paper dragons for their dragon parades which they showcased for parents. Following the parade, families engaged in a Temple Fair of traditional Chinese arts, crafts, and snacks, followed by a lion dance. 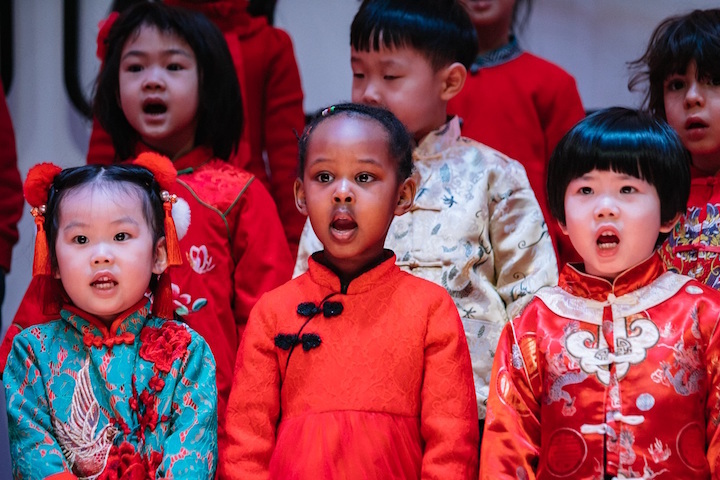 On January 24-28, Harrow Beijing celebrated the Year of the Pig with wonderful music, a series of exciting performances as well as games and food. 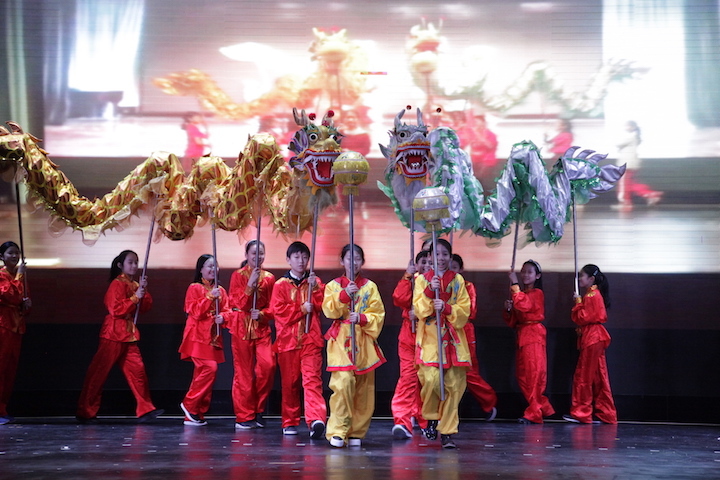 The festivities featured a traditional Dragon Dance, a Temple Fair and special cultural activities involving students, teachers, parents, and friends from both campuses. 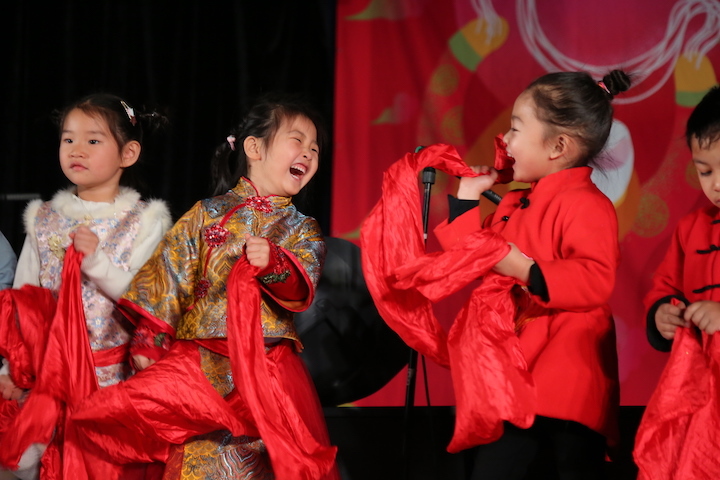 The Canadian International School of Beijing (CIS) annual Chinese New Year Family Fun Night was held on January 31. Students, parents, and staff all joined together as a big family to celebrate Chinese New Year. The event helped bring everyone together in the CIS community. Families and staff gathered together to see the “Beautiful China” performances at Yew Chung International School of Beijing. The stage came to life with Chinese dances, music, and costumes. Meanwhile, the annual Temple Fair brought together the whole school community for traditional Chinese activities, musical performances, and delicious festival snacks. 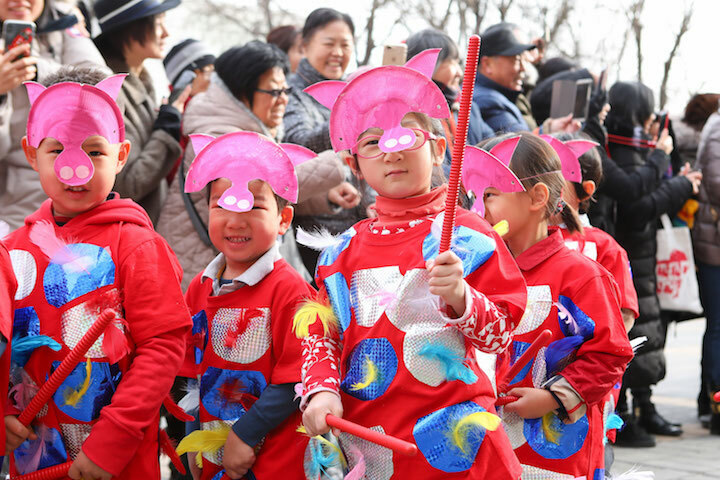 Students, parents, and teachers celebrated the Spring Festival at The British School of Beijing (BSB), Shunyi’s Temple Fair. All in attendance enjoyed the student performances, the traditional arts and crafts activities, and delicious snacks. 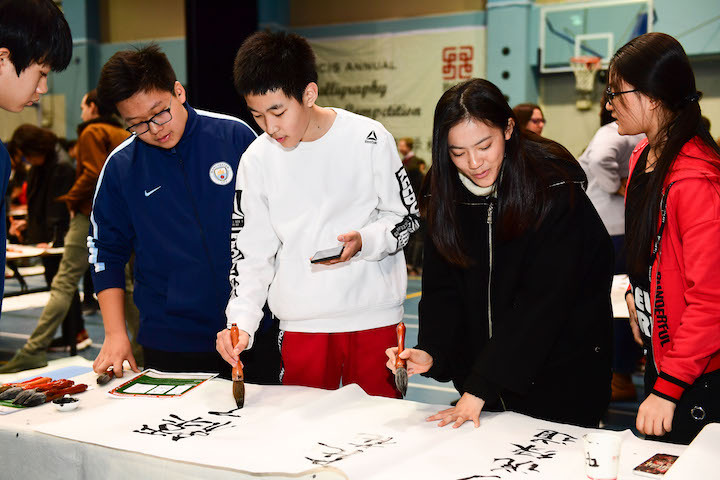 Beijing City International School (BCIS) recently held its fourth annual, student-led Chinese Calligraphy competition in their gymnasium. After a short opening ceremony, the students and staff members set off around the numerous tables according to their house color to create their very own works of calligraphy. Students at International School of Beijing (ISB) requested the school to remove single-use plastics from their cafeteria, after learning about the harm plastic waste causes on land and in oceans. In response, ISB converted its cafeteria to a single use plastic-free zone.